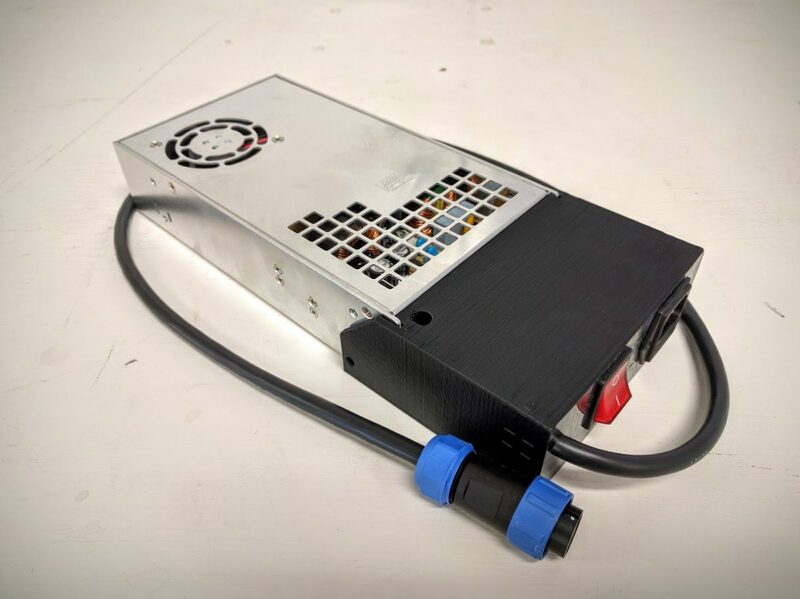 We’ve recently had demand for upgraded LulzBot TAZ replacement power supplies for customers that had the early plastic cased supplies that shipped with the LulzBot TAZ 4s and early TAZ 5s. The later metal cased TAZ 5 supplies are great, but replacements are in short supply. Customers also prefer a power switch on the power supply allowing the power supply to be shut off when not is use. This conserves power and eliminates from noise the power supply cooling fan while extend the fan’s life. Building on the idea LulzBot used with earlier TAZs, we designed a new endcap to fit the Mean Well SE-450-24 450W 24V power supply and have assembled upgraded TAZ 4 and TAZ 5 power supplies! LulzBot TAZ upgraded replacement power supply. With power switch. Next post: Print your own chair feet!